Racing events are just cool. From the annual F1 to auto shows, it seems we just can’t get enough of shiny cars and bikes, and we can’t wait to see what the automobile world has to offer us next. 2013 is no different, and this year is (as usual) packed full of awesome shows, events, and races that exhilarate and excite their audiences. If you’re a car enthusiast like us, or if you just appreciate fast vehicles and shiny new designs, then try to make it to at least one of these six events this year. Perhaps one of the more well-known car events around the world, Cars and Coffee is exactly as it sounds: a weekly gathering of car enthusiasts who talk about and show off their cars over a cup of coffee. Occurring in more than 10 locations in the United States and 5 locations in Europe, this gathering is a must-attend for anyone who wants to talk cars with like-minded people and see a range of fast, exciting, or just plain bizarre cars. As the world’s oldest active sports car endurance race, 24 Heures du Mans is an event that runs for 24 hours and tests a car and driving team’s ability to balance speed with endurance. Three drivers share the driving responsibility, and must get through the 5,000km race without their car sustaining any mechanical damage. Held in the middle of the European summer, this is a perfect event to add on to your destination if you’re planning to tour around the continent. For an event a little bit closer to home, the Australian International Motor Show is one of the most popular auto shows Down Under. Hosting a range of vehicles including new sports cars, concept cars, and Kia cars, this show spans over 23,000sqm and is the perfect destination to go if you want to see exciting cars and stay in the country. Its origins were as a fundraiser to raise money for a soccer field, but the Woodward Dream Cruise has grown into an annual one-day automotive event that attracts more than 1.5 million people and 40,000 classic cars from around the world. 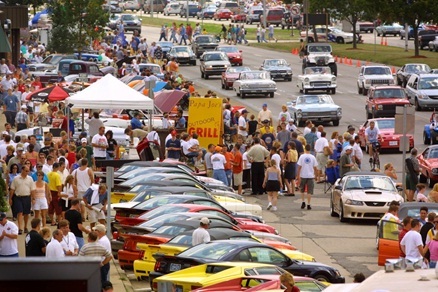 Spanning almost the entire length of Woodward Avenue, drivers can cruise down the historic road before parking and examining all the other vehicles on display. Another Australian classic, the V8 Supercars racing tour is one that every Aussie car enthusiast should see at some point in their lifetime. Using the classic Holden Commodore or Ford Falcon for their cultural significance (these two cars are the most popular on the Australian car market, after all), the racing season runs in all Australian states and territories (except Canberra) and also in New Zealand, the UAE and China. The event is more popular in Australia than the F1, and attracts a slew of visitors from Australia and overseas. It is almost impossible to talk about cars and not mention Japan, and the same goes for car shows. 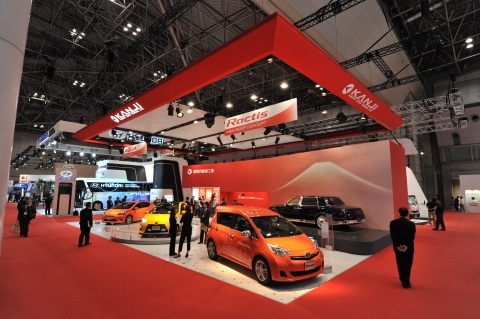 The Tokyo Motor Show is an annual event held in Japan’s busiest city and boasts an exhibitor line-up of some of the world’s biggest car brands: Toyota, Suzuki, Nissan…the list goes on. With the latest car developments and some of the hottest concept cars on display, this show is the perfect excuse to book a trip to the Land of the Rising Sun. What event are you looking forward to the most in 2013?